The Golden Eagle Air Tour is perfect for Las Vegas guests who are pressed on time and desire to see as much of the Grand Canyon as possible. Departing from our private heliport near Las Vegas the tour includes aerial views of the Hoover Dam and Lake Mead as well as the spectacular Grand Canyon. The Highlights Air Tour takes guests on a 70-minute airplane tour from Las Vegas and shows them the unique beauty and contours of the western end of Grand Canyon. 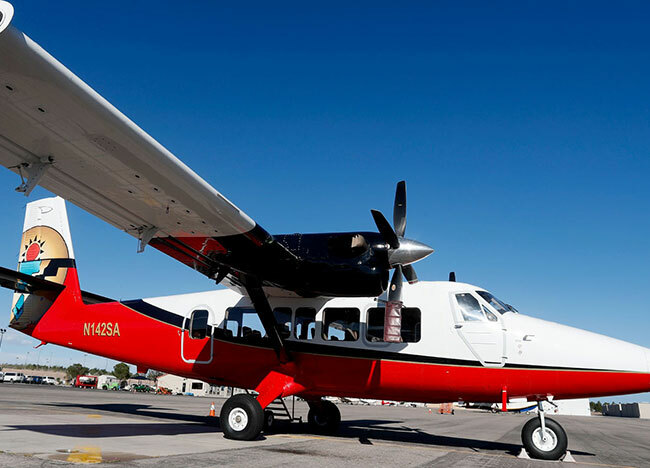 Aboard our Vistaliner aircraft, specially equipped with oversize windows, you will see amazing aerial views of Lake Mead, Hoover Dam, The Colorado River and the Grand Canyon. Experience the magnificence of the Las Vegas Strip from a front row seat in the sky! Board a state-of-the-art helicopter and fly over legendary landmarks including the space beam of the Luxor pyramid, the New York-New York skyline, the fountains of Bellagio, the Eiffel Tower of Paris, and the clock tower in St. Mark's Square of the Venetian. 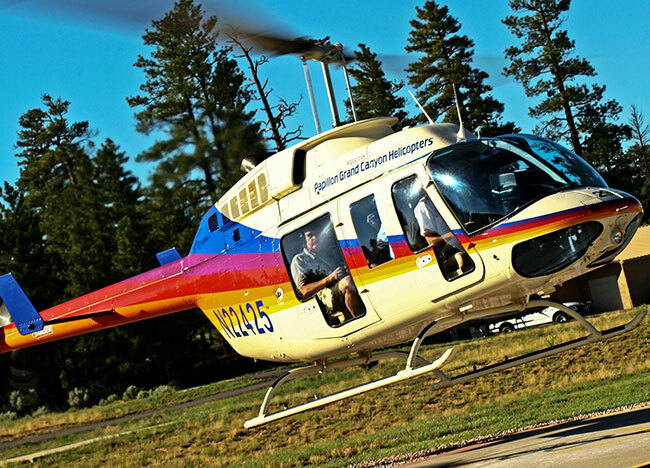 The North Canyon with Hummer excursion begins with a helicopter tour taking you over the North Rim of the Grand Canyon to the South Rim and even over Dragon Corridor - the deepest area of the canyon. 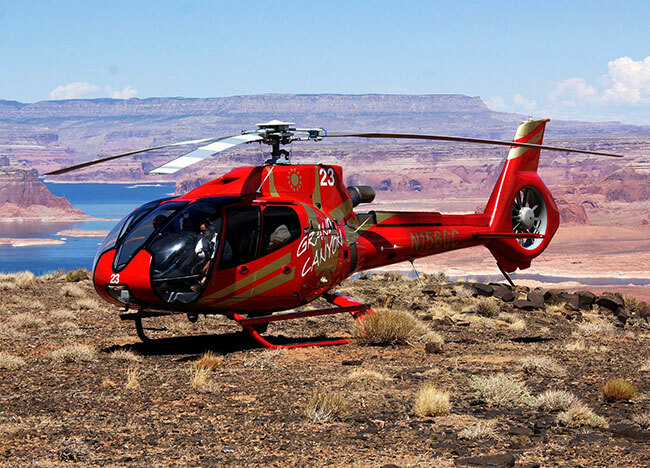 This helicopter tour provides multilingual narration and aerial views of some of the most majestic sights the Grand Canyon has to offer. Plentiful photographic opportunities await you during this scenic flight.Upon landing, you'll proceed to the Buck Wild Hummer Tours terminal to check in and meet your Hummer driver. Here, you will begin the ground segment of this sightseeing tour. Your Hummer tour guide will take you through part of the Grand Canyon National Park and will make stops at the park's most notable lookout points. Each stop - which may include Duck on a Rock, Yavapai Point, and Moran Point - offers a gorgeous vantage point and provides amazing photo opportunities. When your tour comes to an end, you'll return to terminal where you can continue making memories during your Grand Canyon vacation. This helicopter tour provides stunning aerial views of Hoover Dam, Lake Mead and Grand Canyon West. 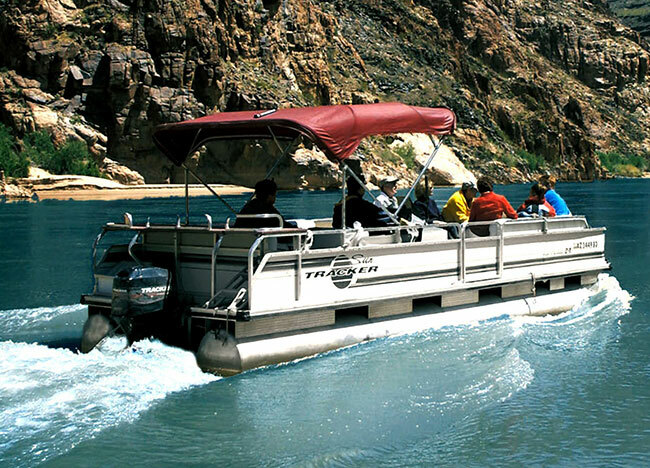 Additionally, this tour lands at the bottom of the canyon overlooking the mighty Colorado River. The Highlights Air Tour takes guests on a 70-minute airplane tour from Las Vegas and shows them the unique beauty and contours of the western end of Grand Canyon. The North Canyon tour takes guests over the Kaibab National Forest and into the deepest and widest part of the Grand Canyon. 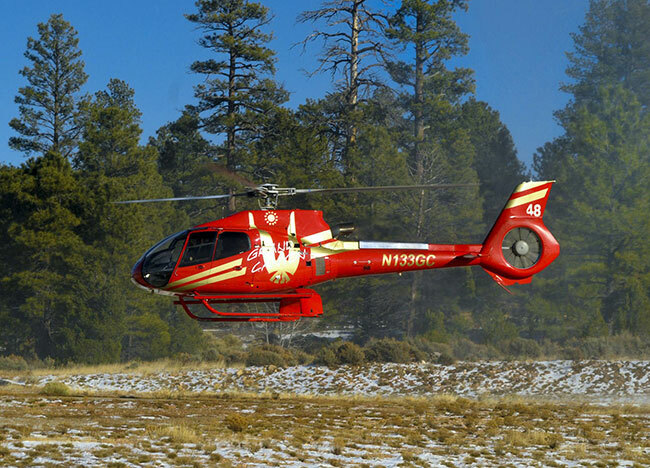 The Imperial Air Tour with EcoStar helicopter features awe-inspiring views of the beautiful Eastern gorge of the Grand Canyon aboard our environmentally friendly, EcoStar EC130 aircraft. Rising 5,000 feet above sea level, Tower Butte is one of Mother Nature's most unique formations, providing the perfect setting for your Helicopter Landing adventure! 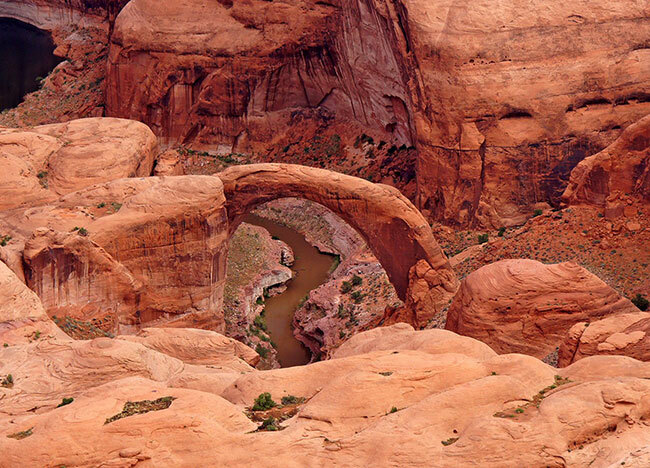 Take to the skies aboard our Lake Powell and Rainbow Bridge Air tour! Planning to visit Grand Canyon West? 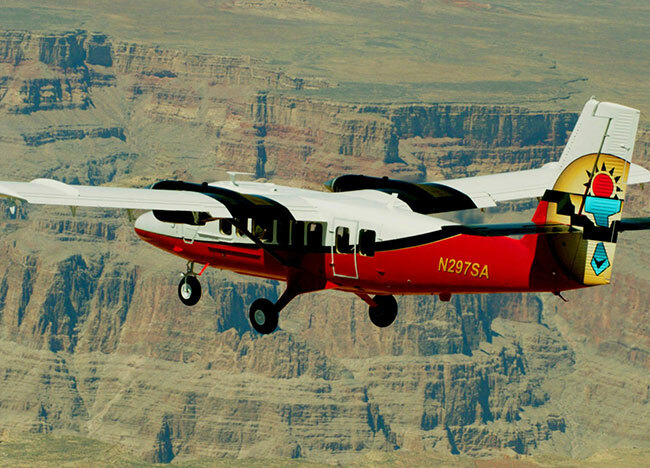 In addition to the stunning vistas along the west rim, you can now experience a Grand Canyon Scenic Airlines flight over the canyon’s extraordinary landmarks. 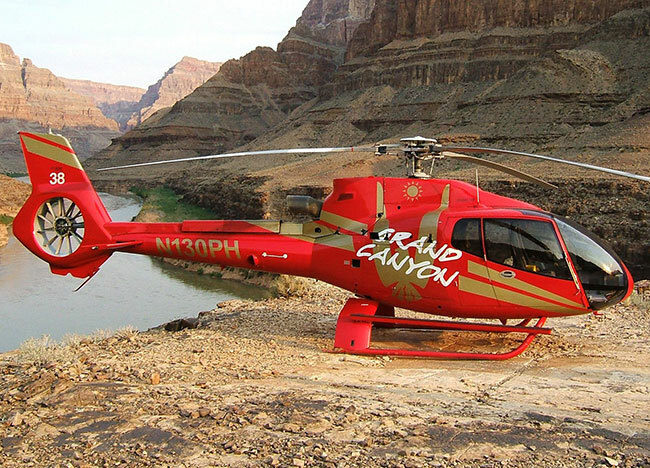 Soar over the edge of the West Rim on a thrilling helicopter tour to the canyon floor, where a pontoon boat awaits to cruise down the Colorado River.